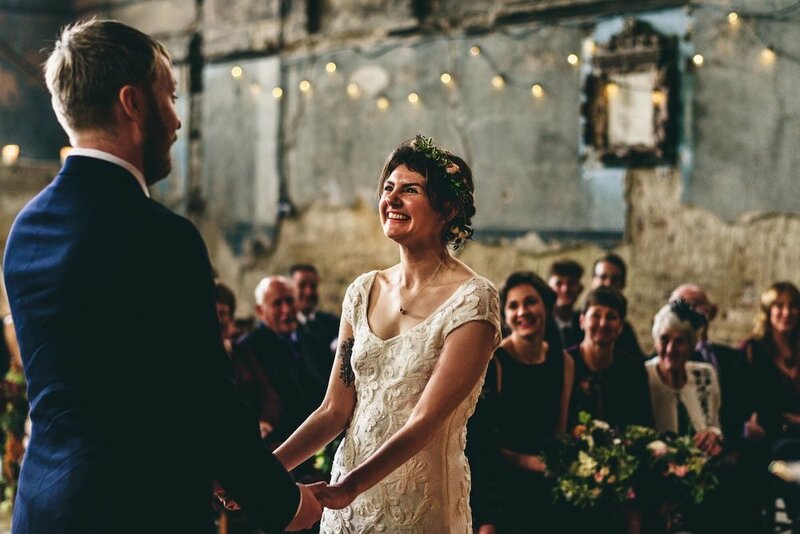 This wedding ceremony took place in the beautiful old listed building of the Asylum chapel in Caroline Gardens, Peckham, East London. 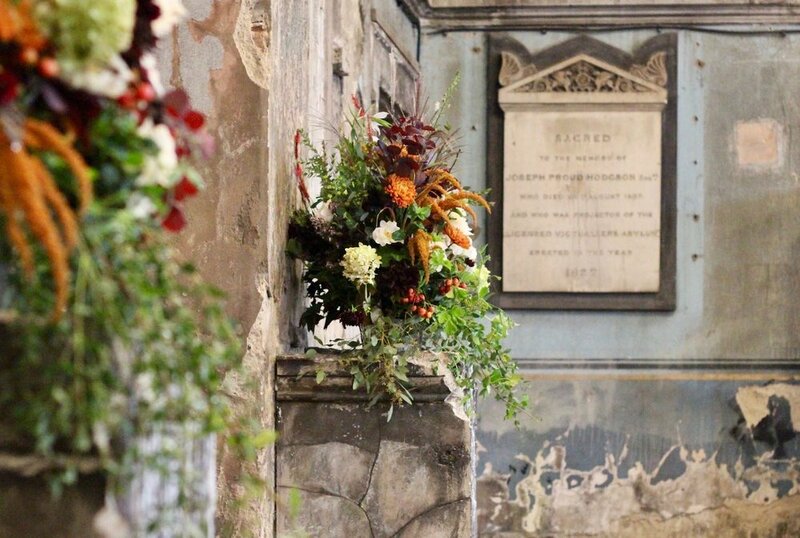 The autumnal flower palette complemented the distressed walls, altar with a wild, rambling, natural feel. 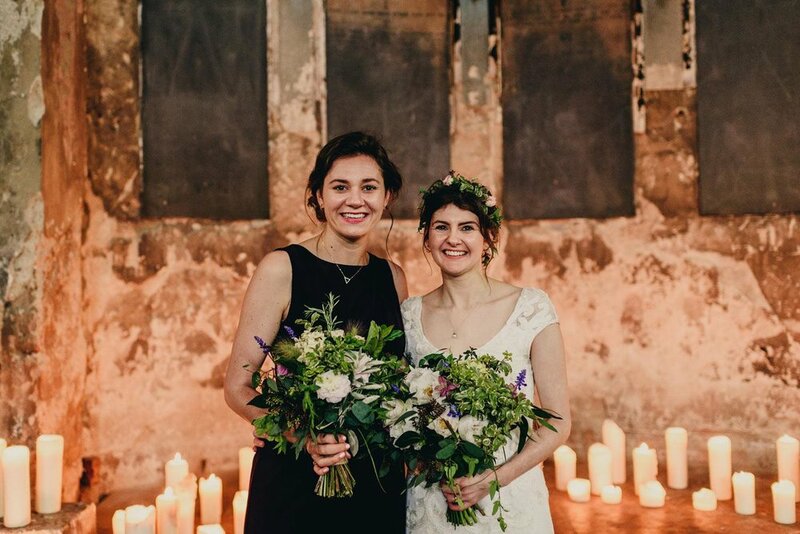 The chapel flowers were later used at their reception in The Lordship pub, East Dulwich where we also added autumn meadow style table centrepieces.